This is a great article which sums up my feelings on autism and how it effects our family. Autism is my son’s disability, difference, and superpower. Sometimes all in the same moment! It confers great benefits and challenges. When I speak up to help raise the voices of autistic people who do not want a cure for who they are, I do not ever, ever, ever mean to imply that those same people do not need help. They do. And many of them need it desperately, urgently … NOW. When I say that I don’t want a cure and that I embrace my son’s autism, that doesn’t mean that my son’s life is without challenges. It’s because I embrace his autism that I fight so hard for him to have access to the supports and services he will need. When I say that our autistic children and their adult brethren need to be celebrated rather than feared, when I plead for respect for their dignity and humanity within the context of our discourse both public and private, when I say that no one should refer to the sentient, bright, beautiful human being standing right in front of them as missing, a burden, or Heaven forbid, say or imply that they would have been better off never having been born, I do not mean nor have I ever meant to say that they are not deserving of, and in need of, our support. Quite the opposite in fact. A huge reason I work so hard to raise awareness and understanding around autism is to help parents get support for their children at a young age. I’ve seen first-hand the difference early intervention can make to decreasing weaknesses and strengthening the benefits. This mix of weaknesses and strengths is exactly why early support is so critical. Unless we help our loved ones with their weaknesses, their strengths will never fully shine. The bottom line for me is that the fact that autistic people should be celebrated does not negate the fact that their autism is, at least in the world in which we live, disabling. Autistic people need help. We can’t possibly know what KIND of help without listening to autistic people. And we won’t get it from the general public without respecting them. I’ve been incredibly lucky to have autistic adults in my family who’ve kindly explained my son’s behaviors and interest. I’m deeply indebted to them for their understanding, kindness, and support. Unfortunately, there are many individuals without this support system or understanding. For years, we’ve been told that our children need to be as “normal” as possible to succeed in this world. Temple Grandin and others have shown this belief to be false, but the tide hasn’t turned as quickly or easily as autistic individuals need it be changed. My son will succeed or fail as an autistic person. I don’t need to rid him of his autism for him to have a wonderful life. Superheroes are known as much for the weaknesses as their strengths. Superman has his kryptonite. Strip away all of Batman’s fancy gears and gadgets to reveal a regular human. The X-Men need their teammates for strength, support, and, in some cases, to learn how to properly use their powers. 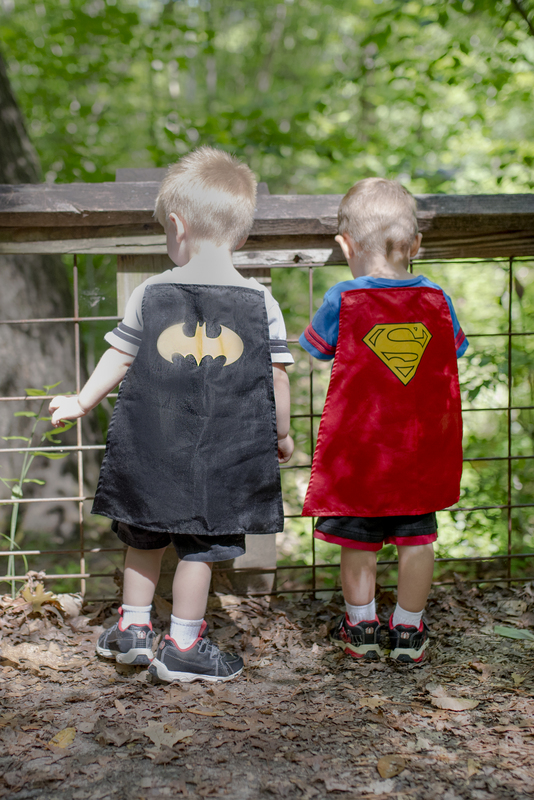 Superheroes would be nothing without support from their family, friends, and teammates. For my son, I’m Alfred and Lois Lane; ready to remove the kryptonite and give him the tactical gear he’ll need to face his challenges. Autism – disability, difference, superpower.